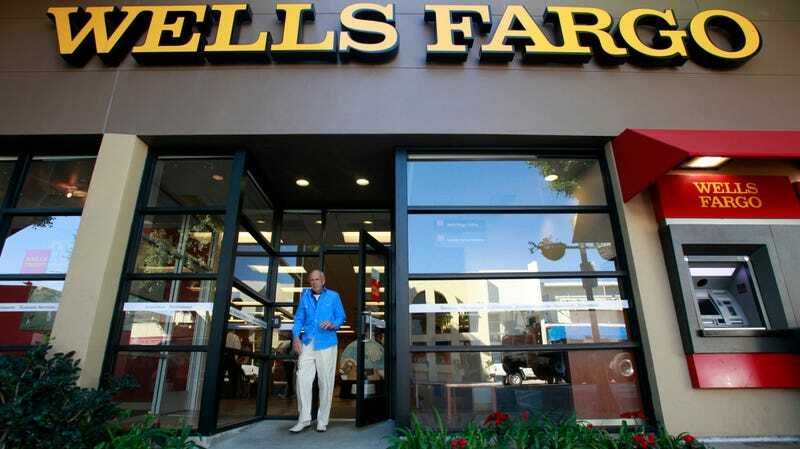 Finance titan Wells Fargo admitted in regulatory filings this week that a software glitch had resulted in some 625 customers incorrectly being denied or not offered mortgage modifications, with approximately 400 of them subsequently losing their homes. According to CNN, a spokesperson for Wells Fargo denied that there was a “clear, direct cause and effect relationship between the modification” denials that arose as a result of the unspecified glitch, but did confirm they had foreclosed on some people as a result. The company has set aside $8 million to compensate affect customers, which really doesn’t seem like a lot to split among hundreds of people who lost their homes, but hey, this is just a drop in the misconduct bucket for them. Earlier this year, Wells Fargo reached an agreement with the Justice Department to pay out a $2.1 billion fine for issuing billions of dollars in home leans that it knew were based on incorrect income details, contributing to the 2008 financial crisis when securities backed by those bad mortgages failed. Other allegations noted by CNN include “improperly encouraging” mom-and-pop investors to trade debt products with high fees, as well as its creation of millions of fake accounts to boost sales figures, charging extension fees to customers over delays of their own making, and forcing over half a million customers to buy unnecessary auto insurance. In January, another problem with Wells Fargo computer systems led to the bank double-paying bills via customers’ accounts, leaving many overdrawn.